Bollywood couple Alia Bhatt and Ranbir Kapoor returned to Mumbai after celebrating their new year’s eve in New York with the Kapoor clan. Dressed in winter essentials, Ranbir Kapoor looked impressive in a beautiful green and black plaid style jacket that he paired with jeans and a white T-shirt. He has always had a cool style quotient and this time too he delivered with the baseball cap and sunnies in place. On the other hand, Alia Bhatt failed to impress in a navy blue top and jeans combo that she layered with a distressed denim jacket. We are not too fond of the knee-length burgundy boots as well. 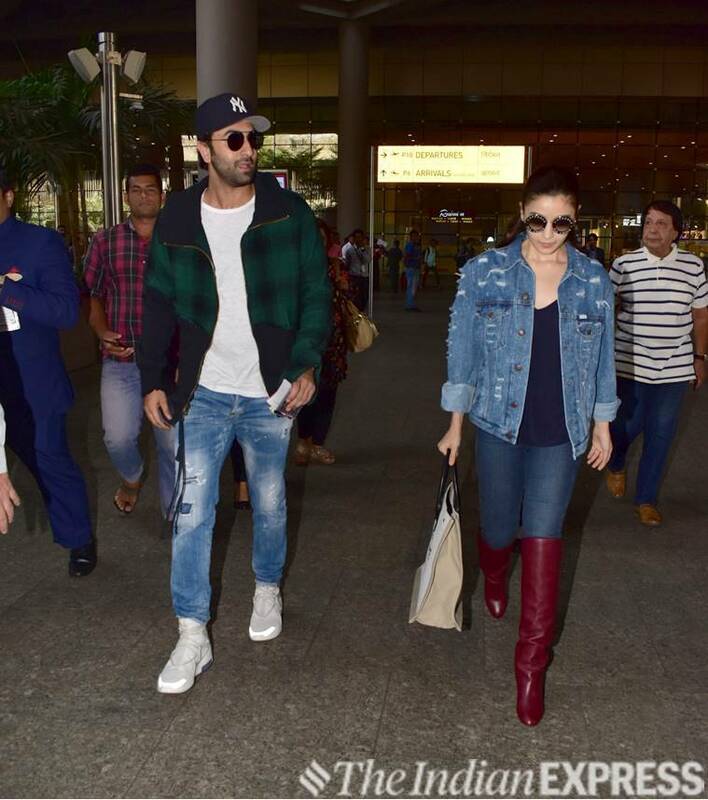 While both the actors have a fuss-free fashion sense, in this airport appearance it was Kapoor who rocked the casual look. Later, the Raazi actor was seen stealing the spotlight in a pair of chunky sneakers that she wore with a simple white tee and jeans, and a bright floral shrug. Is chunky sneakers going to be the new trend? Let’s wait and watch.